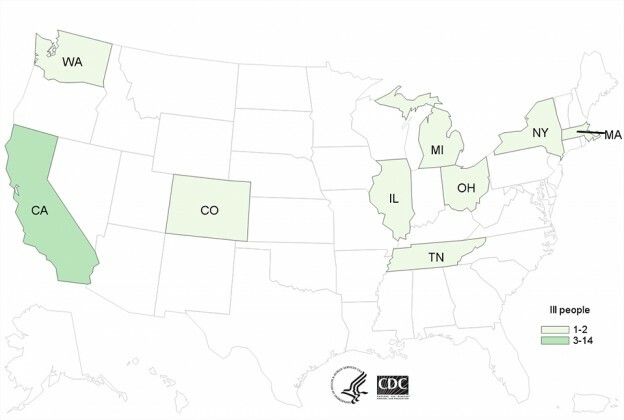 One person from Ohio who died from a Listeria monocytogenes infection is among the two dozen people in 9 states associated to a multistate outbreak of the foodborne illness linked to consumption of soft cheeses, the Centers for Disease Control and Prevention (CDC) reported today. Federal health officials say the people infected with one of the closely related Listeria strains have been reported since August 8, 2010. The number of ill people reported from each state is as follows: California (14), Colorado (1), Illinois (1), Massachusetts (2), Michigan (1), New York (2), Ohio (1), Tennessee (1), and Washington (1). The investigation, a collaboration between the CDC, public health officials in several states and the U.S. Food and Drug Administration (FDA) has not conclusively identified the source of this outbreak; however, fifteen (63%) of 24 people with available information are of Middle Eastern or Eastern European descent or shopped at Middle Eastern-style markets. Of 22 ill people for whom information is available, 18 (82%) consumed soft cheeses, and 16 (89%) reported eating Middle Eastern, Eastern European, Mediterranean, or Mexican-style cheeses, including ani, feta (including Bulgarian feta), Middle Eastern-style string cheese, and nabulsi. Four (57%) of seven ill people who specified the brand of cheese eaten reported brands distributed by Karoun Dairies. No other brand of cheese was reported more than once. On September 16, 2015, Karoun Dairies, Inc. voluntarily recalled and ceased production of certain cheeses that the company distributes due to possible contamination with Listeria. 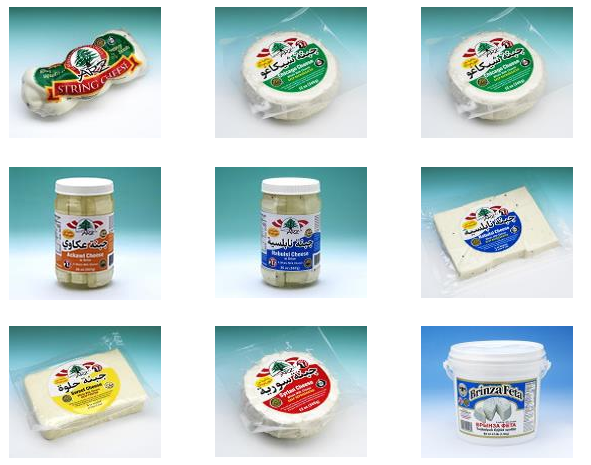 Products were sold under the following brands: Karoun, Arz, Gopi, Queso Del Valle, Central Valley Creamery, and Yanni. Listeriosis, a serious infection usually caused by eating food contaminated with the bacterium Listeria monocytogenes, is an important public health problem in the United States. The disease primarily affects older adults, pregnant women, newborns, and adults with weakened immune systems. However, rarely, persons without these risk factors can also be affected.